Are any of you married to a computer guy? Do you lovingly call him a "geek" sometimes? (my hand is raised here...LOL!) My husband is the most wonderful man in the world. He is funny, sincere, loving and VERY handy with the computer. I have issues sometimes with coding and am often heard calling "Honey? Can you come look at my blog? I don't know how to fix this!!!!" And, my charming prince comes to rescue me. My darling is going to be 31 in a week and I am SO excited to be able to celebrate another birthday with him. He also shares a birthday with our daughter which makes the day twice as fun. :) She has been talking about her birthday for WEEKS and cannot wait! This next review item is for him so if you know him (and I am hoping he doesn't read my blog for the next week :/) don't tell him about this!!!!!!!! If you are looking for perfect, unique and personalized gifts for someone special in your life I will tell you that after this post, you will have to look no further!!! Cafe Press is a company that has something for EVERYONE in your life; from the babies right on up to grandma and grandpa!! They also have some really great fun gifts that will put a smile on anyone's face. Cafe Press was founded back in 1999 and has been thriving and growing ever since then. Here is a short video that tells a bit more about this fantastic company! I love how versatile this company is...they are so open to making designs and personalizing items specifically for ME! This is so great. They can print on just about everything. Oh, they cannot print on AIR, folks. Just in case you were wondering. So for this review I was given the opportunity to choose something from Cafe Press' website and I will tell you right now...it took FOREVER for me to find something. There is such a vast amount of product on their site that you cannot possibly find what you are looking for quickly...unless you have been there before and know exactly what you want. This is a good thing though! I had a blast trying to find something and finally narrowed my search down. I chose to review the Code Bug Free Mousepad. This, of course, is for hubby's birthday and he is going to love it! He works with computer code all day long so he can really appreciate the humor behind this mousepad. This is a standard-sized mousepad that is rubber backed to keep it from sliding and is also machine washable. Wonderful! I have seen some really grungy mousepads in my lifetime so it is good to know this one is washable. The Code Bug Free Mousepad retails for $13 and can be purchased right on Cafe Press' website. Along with this particular mousepad, you can also purchase custom mousepads...meaning you can design your own! If you have an idea, go for it...like I said before, they are pros at making things work. 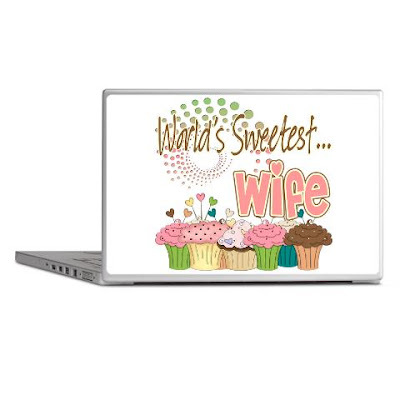 Oh yes...and in case you were wondering, Cafe Press also carries laptop skins in a plethora of designs, sayings and colors. Take a look today and see what you have been missing out on all this time!!! So, in my opinion...Cafe Press is definitely a new favorite online shopping source for me. With the fun of Christmas shopping coming up soon I am going to be doing some looking around on their site to see what they can do for me for the holiday season. I have three brothers and I KNOW I could find a gift for them on Cafe Press. They are really hard to buy for so this would be perfect! My hubby is going to love his new mousepad! I am soooo excited to give it to him! Cafe Press has offered to give away a $15 Gift Certificate to one of my readers! YAY! Here are your entry options. Visit Cafe Press, then come back here and leave a comment letting me know what product(s) you would love to win. :) You do not have to be a blogger to enter, but you must have a valid email where you can be reached should you win. If you do not leave an email address, it must be where I can easily find it. This giveaway is open to US residents and will end Monday, 8/29 at 11:59 pm EST. The winner will be chosen using random.org and will be notified by email. The winner will have 48 hours to respond, or another winner will be selected. 5. Vote for me on Picket Fence Blogs. 1 entry per day, so 1 comment per day. 6. Leave a comment on any review only post. 1 entry per post commented on..tell me the name of the post on which you commented. Unlimited. 7. Add this giveaway to a linky. Leave me the link to the linky list it was added to. 1 entry per linky. 8. Blog about this giveaway. Leave me a DIRECT link to your post. 5 entries, so 5 comments. 9. Subscribe and confirm (I do check!!) your subscription to my blog via Email (Feedburner). 2 entries, so 2 comments. Disclaimer: I received no monetary compensation for this post. I did receive a Cafe Press product for review purposes. All quotes, stock photos and embedded video are from the Cafe Press website and email. All thoughts and opinions are 100% mine. I'd buy the "Ticket to Hell" decal to stick onto my laptop. That way people will know where I'm heading. I'd love to win a wall decal. I would love to win the baby T that says "A midwife helped me out." Thanks for the chance to win! I like ALL of the giant panda t shirts and would have a really hard time picking just one! I like the Portrait Flip Flops. I would choose a fun iphone case holder! I volunteer for a pet rescue and would love the "Who Needs Balls" tote bag to give to the owner. 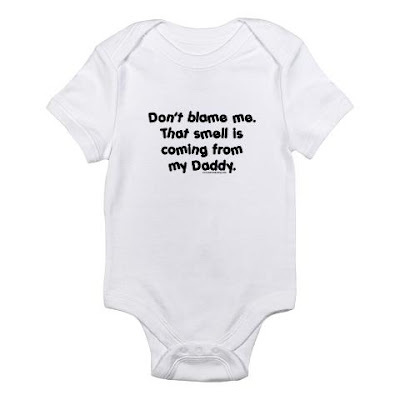 I would like to win a custom infant bodysuit. Love the pre-designed ones but love to customize one with a pic of JJ and Moo for him to wear. I visited Cafe Press and if i won,I would like the Funny Get Well Mug and Back in the Game Throw Pillow! I followed in my opinion... via GFC! I'd like the "Feminism: The Radical Notion Women are People" shirt. I love the vintage-look Mommy tee in pink. Would love the Don't Make Me Call My Aunt Boy Baby bodysuits. Google follower and love the ticket to hell decal for my son's room. Get ready for school - teach your kids good hand washing is always a good idea. LOVE their Stadium Blankets - didn't know CafePress made them! I want a black "Get To Da Choppa!" T-shirt. I follow you via GFC. Could you please follow my blog? I follow you on GFC. Could you please follow my blog? I follow you on Google Friend Connect. Could you please follow my blog? I like the Paisley Kitty 2 Stainless Steel Water Bottle. I like the ginger pride t shirt. I like the "grateful dad" travel mug and would love to win it for my dad. I signed up for their email list. I would love to win any of the funny t-shirts! I would want to win an iPod touch 4 case.